Did you just lose a market? Are you looking for coverage for garage risks that sell, service or repair a wide variety of vehicle types? Backed by a company with an AM Best Rating A, your dealers, mobile repair or service operation risks are guaranteed to be covered. Get Appointed with Cochrane & Company Today! 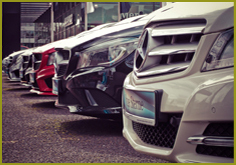 New & Used Dealers & Repair Insurance and have existing business. • Ability to include GL related operations: Parts Sales, Lessor's Risk, Mini Marts, Etc.